Email Marketing is the best and most effective way to enhance your business. Email is becoming the most personal and businessy way to communicate with customers. But writing to your customer is like introducing yourself before them may be for the first time or second or third. But what you write to your customer reflects the image of your work. 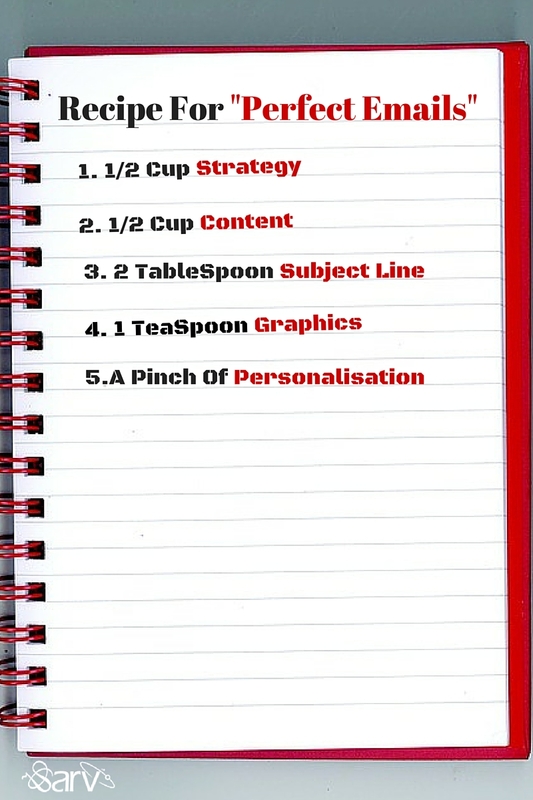 No doubts, writing to your customer is more likely to make your morning TEA. It should be hard and light at the same time. So, as it can wake you up and can make your morning pleasant. Creating an email and doing email marketing is like making a perfect tea and adding the appropriate ingredient and that too of relevant amount of it can make it a perfect one. Like a refreshing Indian tea a.k.a chai each email is made up of combining things from strategy to personalization. I would be glad to guide the basic 5 which you can’t forget. It acts as the ‘Milk’ of your Tea, the very basic part and the base of your email. There are a number of reasons present to send an email, it can be promotional email, welcome email, newsletter, rearrangement, anything it could be. So before sending any mail it should be very clear that what this email is all about? Why you are sending this email? How it can benefit our customers? Taking time and stopping by before starting any campaign will give out a perfect email recipe. This is like ‘Water’, the body of the tea, it decides how your tea is going to be. Content is again the body of an email. No one is interested in reading a complete book just to know about your new scheme. It really acts as the water in a tea, it’s excessive use can make you drink faded tea and it’s less use can make you taste a bitter one. So, content should be very appropriate and up to mark only. Your content should be short and straightforward, so that your customers can understand you in less time because your customers are as busy as you are. Subject Line is like ‘Sugar’ of your Tea – sweet and pretty but it binds the taste of your tea. 80% of accomplishment is done by your subject line. Five of the eight people read your subject line more attentively than they do the content. Most of the people scan your subject line to decide weather they have to continue or have to leave behind. It’s the basic part your email and binds the taste of your email. It is the ‘tea leaves’ of your tea which provides the colour and life and make your tea the best cup of your day. Using graphics would definitely enhance quality of your email and can make your campaign a successful one. People are more likely to be attracted toward images then to text. You can make your customers to better understand you by adding sparks to your email in the form of photos or videos. Does my this customer is supposed to receive this mail? Is this his cup of tea? Is the information provided in the mail belongs to my customer? How he will react to this? These were some basic ingredients of making a perfect email and trust me making a perfect tea is not as easier as you think so do emails. Using the perfect stuff with perfect time can help you impressing customers. If you want to know more about email & inbound marketing strategies, of course you do, please subscribe to our blog. Indeed, this is a very creative piece. 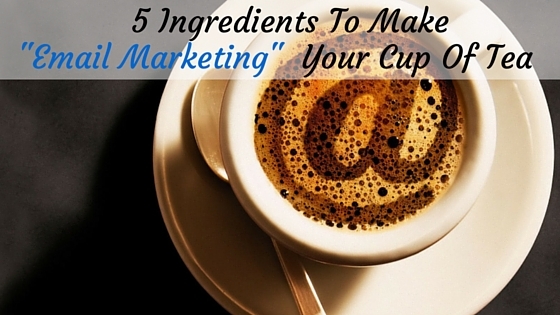 It delivered 5 ingredients for making a tea cup email marketing. The ingredients are crucial for successful email marketing. A right combination of these ingredients will go a long way to make our email marketing a success! Thank you so much for stopping by and commenting on this block and So glad to see you again. Yes, you are absolutely right that using the appropriate ingredients in appropriate amount can only help you to achieve successful email marketing. As a perfect tea can let you remain boost up for the whole day same as that a perfect tea cup email marketing can let your business boost up till the end.